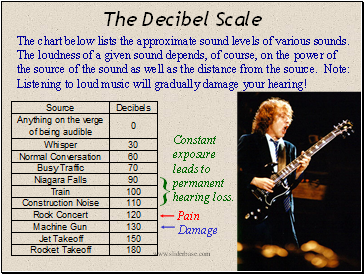 Constant exposure leads to permanent hearing loss. 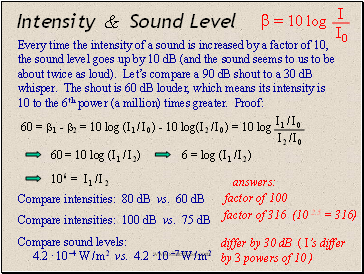 The chart below lists the approximate sound levels of various sounds. 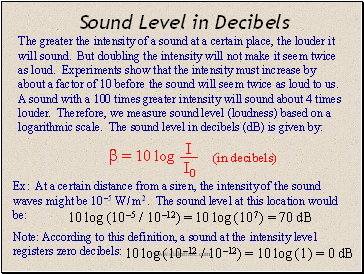 The loudness of a given sound depends, of course, on the power of the source of the sound as well as the distance from the source. Note: Listening to loud music will gradually damage your hearing! How much energy does the egg originally have? How much of that energy goes into sound? 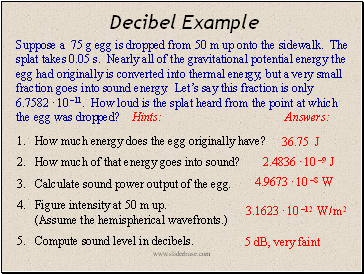 Calculate sound power output of the egg.